It was as if I had walked into an operating theater mid-surgery. This process of demolition and progress seemed so delicate here. The hard metal ribs of the brick building stretch out as if to keep the facade standing. While the tall, sleek, new towers stretched endlessly into the sky. A certain sadness and wonder washed over me as I looked at the scene upside down under my view camera’s focusing cloth. 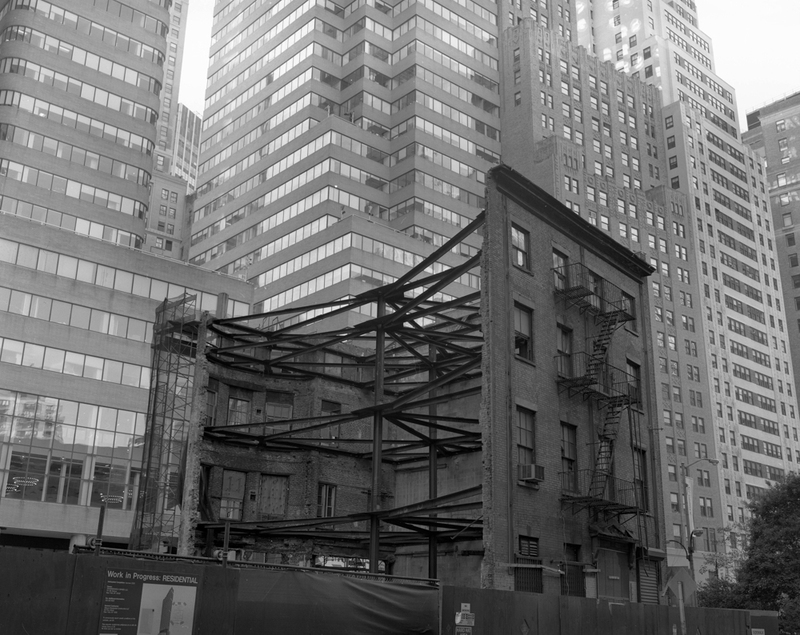 Within every building in Manhattan there are these hidden structural frameworks, which I never gave much thought to. I wondered what families, friends, neighbors, shop owners or workers had frequented this building. I wondered what loud parties echoed out of it onto the street below. I wondered what breezes from the Atlantic eventually found their way into its open windows. And I wondered what life the next building after it would hold.